Accompaniment Track for CGA1088 and CGA1408 We Are Called by Becki Slagle Mayo. 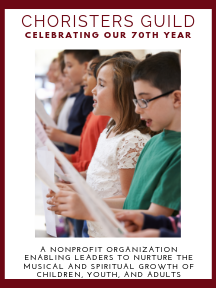 This festive anthem, which incorporates children's, youth, and adult choirs, calls the church to fulfill its mission to serve others and share God's love to a world in need. Each choir sings a verse alone, while the opening and closing sections feature combined choirs. A creative weaving of the familiar hymn tune, ST. THOMAS, and the anthem's original melody takes place prior to the resounding conclusion. Stunning with the additional brass quartet.